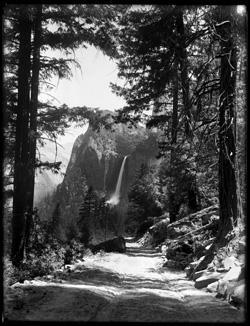 COMPARING 3 VIEWS OF "BRIDAL VEIL FALLS FROM THE ROAD"
A Comparative Analysis of 3 views of "Bridal Veil Falls from the Road"
[NOTE: the similar tree silhouettes (esp. 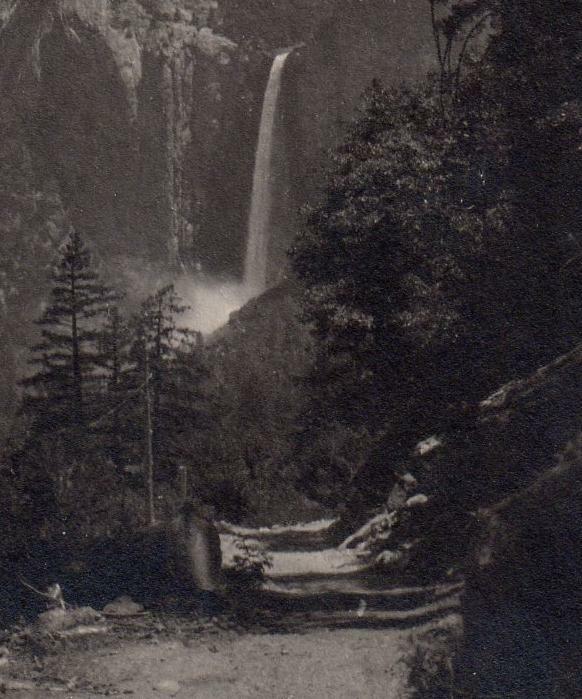 the bend of the branches of the tree nearest the Falls on the left) and the “spray” characteristics at the base of the Falls in all 3 photographs. [Note the SAME cut section of tree trunk on left side of road and the SAME 3 shadows cast across the road at that spot; note also the tree tops just left of the Bridal Veil Falls base and the "bulge" or "clump" of branches of the tree across the road on the right. 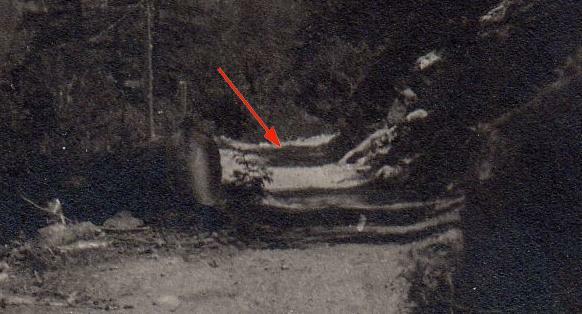 These indicate the photos were taken in the same session at different distances and angles, explaining the position of the bush, which is still within the shadow of the tree trunk in the Norsigian print. 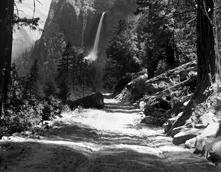 BTW - The soft focus in the Norsigian photo is due to the low resolution of the only available examples provided. 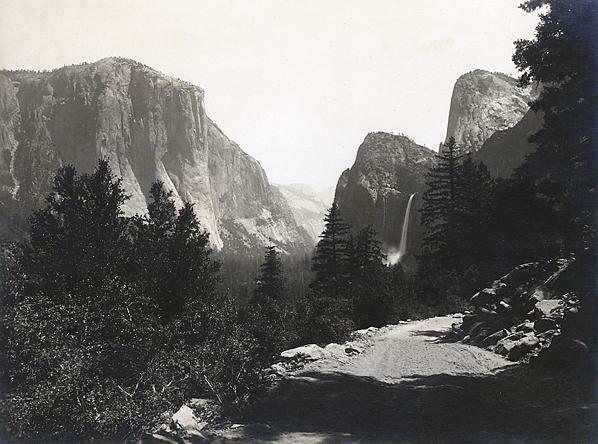 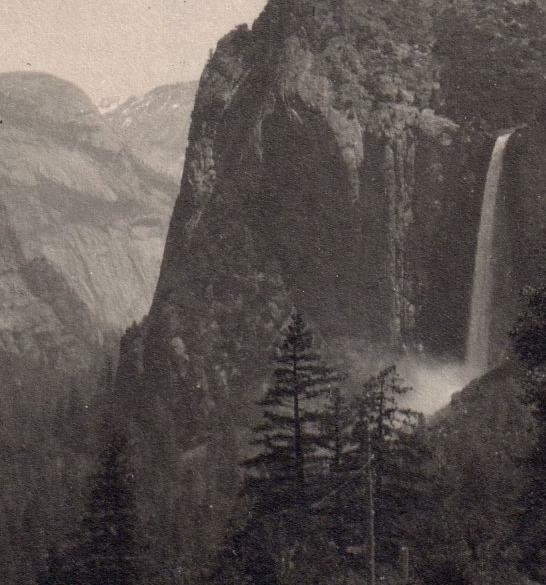 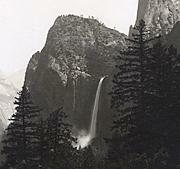 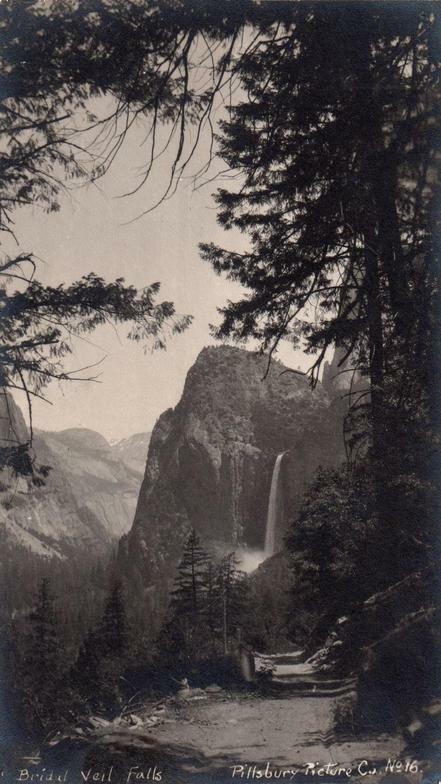 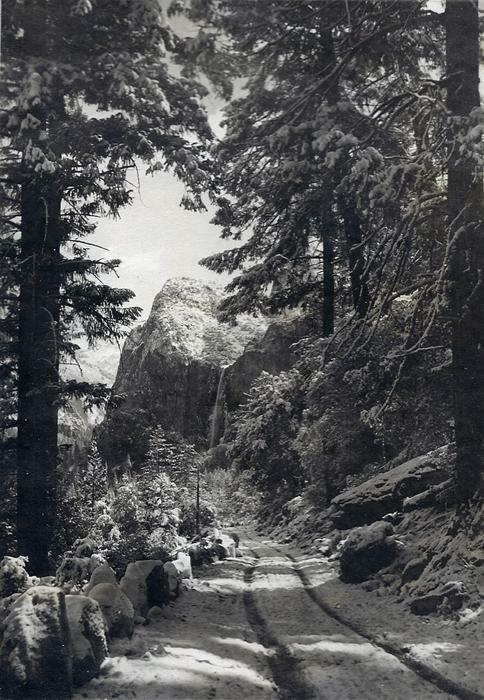 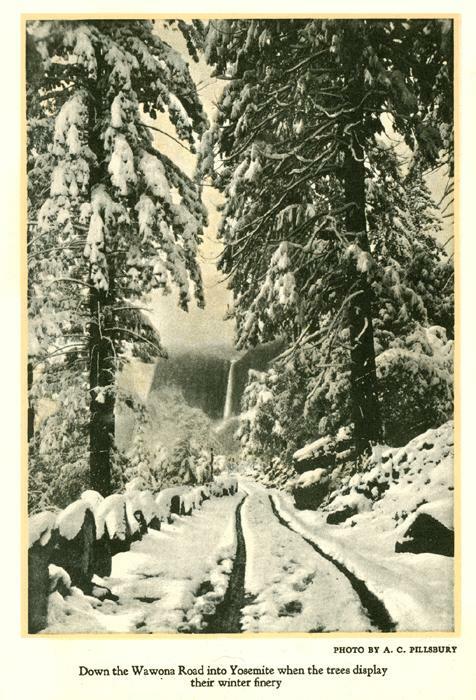 Another Pillsbury photograph of Bridal Veil Falls from the same Wawona Road in Winter.